Government is crafting a law that compels business people who receive foreign currency allocation from Treasury to charge their products in local currency, President Mnangagwa said yesterday. Further, Government will revoke licences of such business people with immediate effect if they fail to comply. Addressing traditional chiefs during the official opening of the 2018 Annual Chiefs Conference in Kadoma , President Mnangagwa said it was important for Government to engage the business people more often. “Currently we have the problem of price hikes. One day we woke up to find the price of a bag (10kg) of maize seed hiked to $110. Just overnight? What had happened? We called the leaders of those companies to State House to explain what had happened and they said Cde President we have reduced the price from $110 to $45,” said President Mnangagwa. He added; “On the other hand they come to queue for foreign currency at the Reserve Bank to buy these drugs from other countries and yet they want to charge people in foreign currency. We said whoever does that, we revoke their licence and they reverted to the local currency. Turning to the land reform, President Mnangagwa said Government was currently carrying out a land audit to check on productivity and those who had multiple farms. He said preliminary results showed that some big wigs had multiple farms and Government would repossess them and give others who wanted to venture into farming. President Mnangagwa said Government would also downsize farms that were being underutilised. President Mnangagwa also tackled the issue of veld fires and deforestation. He said Mashonaland West was topping on veld fires and the problem was more rampant in resettled areas. The President hailed the traditional leaders for containing the problem of veld fires in their areas of jurisdiction. 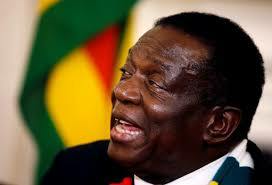 Commenting on Vision 2030, President Mnangagwa: “In our modernisation and industrialisation agenda to attain Vision 2030, we urge you to play your part in harnessing the linkages of people from your communities to promote trade and investment into your villages.